Venture stage investing is about climbing of a risk curve. The exploration company cycle chart that I often steal from Brent Cook is also applicable to early stage tech. Venture stage businesses remove risk from a technology, building value as they go because, once it’s become enough of a sure thing, a larger company is likely to buy it for multiples of what was spent developing it. 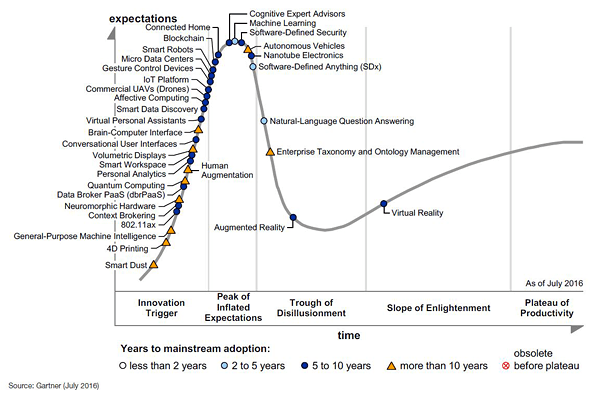 Gartner Hype Cycle for Emerging Technologies. Shareholders want this process to occur with minimal dilution. Assuming a shareholder never adds to their position, the theoretical gain is being watered down every time a company finances, and financing is what zero-income companies do. Teams like the one at EG’s favorite battery-tech startup (and renewed marketing client) Nano One Materials (NNO.V) are made up of experienced research engineers who know how to best take advantage of the funds available. Nano One has secured more than $4M in grants and funding to move them through the prototyping and pilot project, and continue to benefit from grant incentives as they move in to the potentially high-growth phase of making their battery tech scalable and commercializing it. Effectively, this funding acts as an amplification of the shareholders’ investment. It’s not a mitigation of risk so much as supplemental horsepower driving the company down the risk curve and up the value curve. Meanwhile, having the government as an active partner provides the added advantage of expanding access to potential partners who need to be on the government’s good side. And there are quite a few of those. Everyone getting set to grumble at me about grants to emerging tech companies being a corporate handout from taxpayers ought to have a look at Bombardier’s balance sheet. Canada is so proud of that arm on the space shuttle that the government forks over a few billion every few years to keep them making train cars and snow mobiles. And that isn’t to say that small-tech is equally entitled, it’s to say that enormous bailouts to enormous companies are removing risk from the wrong end of the curve. Bombardier doesn’t make advances, they make business jets! Their R&D is focused on further entrenching them in the sectors they participate in, not disrupting those sectors. Nano One being run by lab rat engineers helps keep the deal tight. They just raised $4M, and none of those shareholders are wondering if they’re getting full value for their investment. White coat guys would kill a dozen bunny rabbits if it meant advancing the project, and if there’s a way to pay for it without giving up equity, they’ll find it. As we head towards an EV tipping point, simple innovations like the ones Nano One is working on may provide the acceleration. 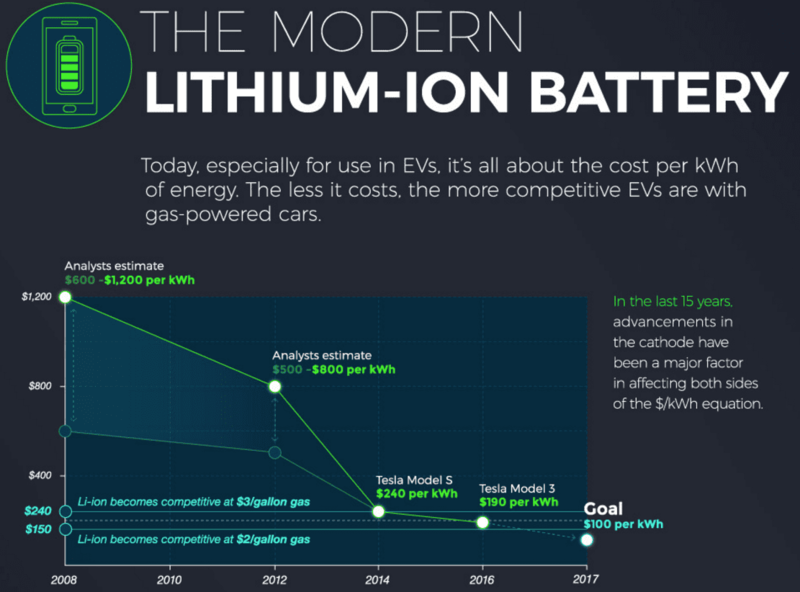 I plan to write more about their efforts to improve battery electrodes, but I don’t think I can do a better job than this excellent company infographic, which everyone should check out. Excerpt from Nano One’s infographic on modernizing batteries. 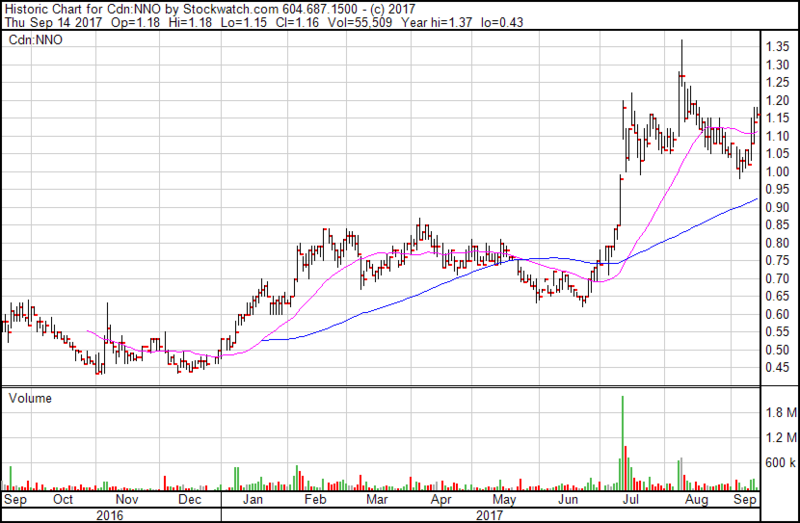 Nano One (NNO.V) trades at a $68M market cap, and is looking attractive right now on a technical basis. Check that bounce off of the moving average. Bombardier (BBD.A:T), meanwhile, is a poorly-conceived behemoth that would have collapsed under its own weight a long time ago if it wasn’t for government largesse. FULL DISCLOSURE: Nano One Materials is an Equity.Guru marketing client, and we have purchased stock in its most recent financing. The Crypto House-Wrecker is On, Cuz Who’s Gonna Stop It?